Sean Astin is one of those actors you just have to love. Whether it was his turn as Mikey in The Goonies, Rudy in Rudy, Sam in The Lord of the Rings, or even Bob in Stranger Things 2, Astin’s kindness, determination, and earnestness make him a true fan favourite. Astin’s next project is out today. He’s the narrator of Dreamworks The Epic Tales of Captain Underpants on Netflix, and we used that occasion to talk to the actor about some of his iconic fantasy properties of the past. Astin, like many of us, still has strong connections to some of his most famous works. 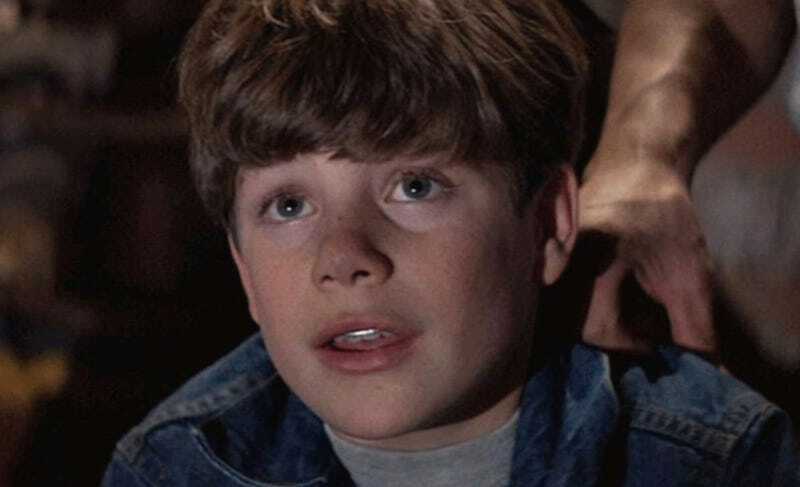 Astin as Mikey in 1985's The Goonies. In 1985, Sean Astin played Mikey Walsh in the Steven Spielberg-produced, Chris Columbus-penned, Richard Donner directed The Goonies. It was his first major starring role and the actor recalled how he felt as it was happening. The actor admits, at the time, he had no idea the movie would be a hit or the impact it would have decades later. In fact, when it came out, he almost had the opposite feeling. 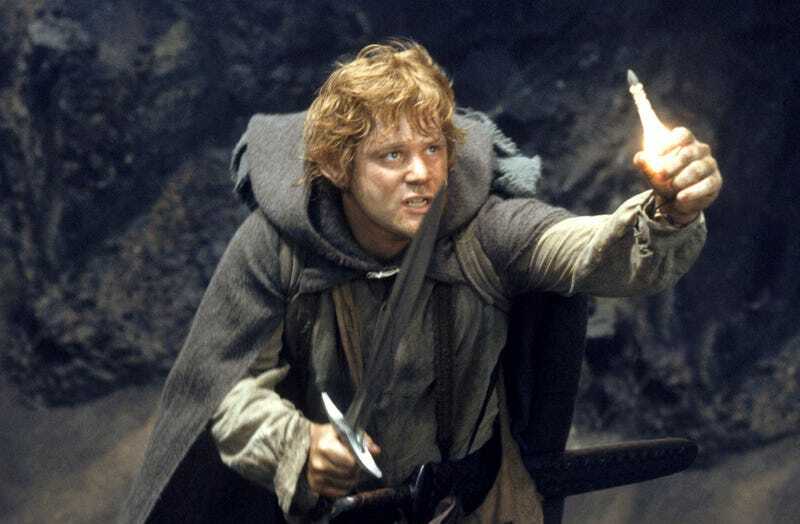 Astin as Sam in the Lord of the Rings trilogy. About 15 years after the release of The Goonies, Astin had another timeless run-in with Hollywood. He was cast as the hobbit Samwise Gamgee in Peter Jackson’s The Lord of the Rings trilogy. Looking back, Astin thinks his father, actor John Astin, played a big role in his wanting to do the film. Once again, there was no way Astin and his co-stars could have foreseen how popular those films would be. But, this time, there was at least an inkling of potential. 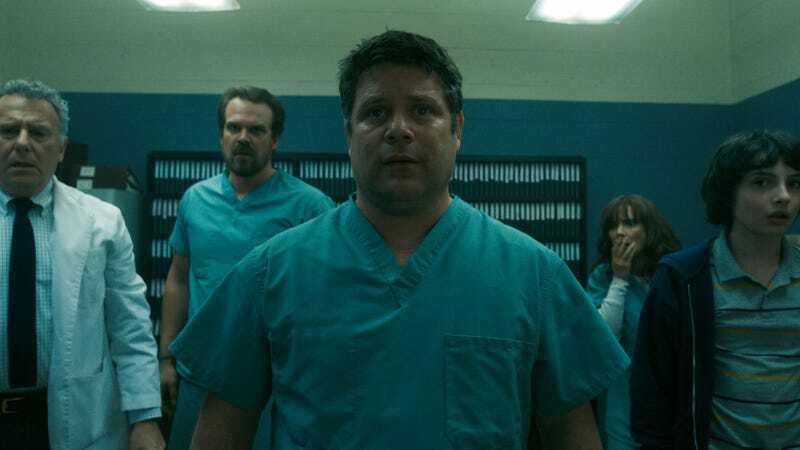 Recently, Astin’s career kind of came full circle as he was cast as the lovable, heroic Bob in season 2 of Netflix’s ‘80s nostalgia feast, Stranger Things. The series is highly influenced by films like The Goonies and Astin was happy to regale the set with tales of the past. Of course, those aren’t the only big genre properties Astin had had a hand in. He was on Guillermo del Toro’s The Strain, he does the voice of Shazam on Justice League Action and Raphael’s voice on Teenage Mutant Ninja Turtles, and more. He believes that his new show, The Epic Tales of Captain Underpants, could one day be said in the same breath as those other projects. And even if it’s not, no one can ever take away the impact he’s had on so many lives. The Epic Tales of Captain Underpants and Stranger Things 2 are now on Netflix.